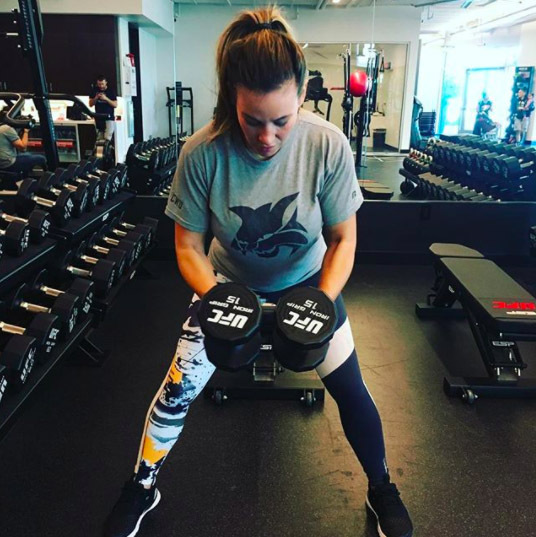 Former Mixed Martial Arts fighter and UFC bantamweight champion Miesha Tate has her fighting roots in wrestling and grappling. Initially cautious of fighting in MMA, Tate has earned praise from her peers for her fighting style. Who is Miesha Tate, how old is she, when is her birthday, how tall is she, where is she from and what is her background? 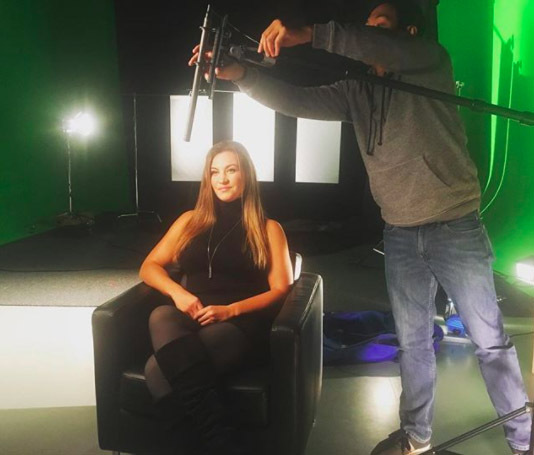 Miesha Tate is a former MMA star turned sports pundit. Tate was born in Tacoma, Washington, on August 18, 1986. She is currently 31 years old and is 1.68 metres tall. She began wrestling during high school, often against boys. During her time at Central Washington University, Tate joined the MMA team and began her amateur career. Why is Miesha Tate famous and what is her occupation? After initially becoming a household name with her successful MMA career, Tate has also appeared in the EA Sports UFC video game, and two feature films, Cagesport XXI in 2012, and 2016’s Fight Valley. She has modelled for magazines such as Fitness Gurls and has a very visible social media presence. Miesha Tate was a silver medallist in the 2008 FILA Grappling Championships while representing the USA. Tate is now a sports analyst for Fox. What is Miesha Tate’s net worth? Celebrity website TheRichest reported Tate’s net worth as being an estimated $2 million in 2017. How much does Miesha Tate earn? According to TheRichest, Miesha Tate reportedly earned $92,000 in 2016. How much does Miesha Tate weigh? Tate weighs in at 135 pounds, or 61kg, placing her in the bantamweight category. Who has Miesha Tate fought, how many fights has she won, what are her most famous fights? Miesha Tate counts Kaitlyn Young, Holly Holm, and Raquel Pennington among her opponents. She has won 18 of her 25 fights. Two of her highest profile fights have been against Ronda Rousey; their match on March 3, 2012, has been credited as the key factor in the creation of women’s divisions in the UFC by president Dana White. When is the Ronda Rousey and Miesha Tate rematch, what did she say about Ronda’s family, who won the fight, why does Ronda hate Miesha? Rousey and Tate share a very public rivalry toward one another, with plenty of trash-talk going back and forth between the pair. Of their two highly anticipated and hyped matches, Rousey has won both. Tate has claimed that Rousey has only progressed in MMA because of her looks and that she’s only interested in self-promotion. Rousey famously refused to shake hands with Tate after their last bout; when asked about it later, Rousey explained her feelings toward her rival. She stated that she was unhappy that Tate had criticised her ‘family’, meaning her coach and team mates, and that she wouldn’t shake her hand unless she formally apologised. When Rousey mentioned in an interview that she had had suicidal thoughts after a particular defeat, Tate controversially suggested that she was showing a sign of emotional weakness. Are Miesha Tate’s breasts real, has she had plastic or cosmetic surgery? Although there has been a lot of speculation that Miesha Tate has had breast implants, this has not been confirmed. She did undergo cosmetic surgery on her nose after her retirement, taking to her Facebook profile to post pictures. She explained the reasons for her surgery, including being able to breathe more easily after having her nose damaged in fights. Who is Miesha Tate fighting next, when is her next fight, where is she fighting next? Tate has no fights planned in the future. Where does Miesha Tate train, who is her trainer? She trains at Xtreme Couture. She was formerly trained by Bryan Caraway. What happened to Miesha Tate, has she retired, why did she retire? Does Miesha Tate have any children? The UFC Women’s Bantamweight champion does not have any children. Is Miesha Tate married, who has she dated in the past? She has never been married, but she previously dated her coach Bryan Caraway; there has never been a formal announcement of any split, and when asked about it in interview, Tate gives very carefully thought-out but non-committal responses.